A one time studio gofer, still photographer, and comic actor, Michael Powell became one of the most celebrated and controversial directors ever to come out of England. Born in Canterbury, Powell became enamored of films while still a teenager and, after a start in the mid-'20s and a stint shooting stills and serving as a co-scenarist with Alfred Hitchcock in the early sound era, Powell broke into directing in low-budget British thrillers and comedies. After directing and writing his first notable movie in 1937, The Edge of the World, he moved to London Films where he began working with Emeric Pressburger, a gifted young author and screenwriter. Their two-decade association began shortly after they left London Films (where they collaborated on The Spy in Black and Powell co-directed The Thief of Bagdad). The wartime thrillers Contraband and Forty-Ninth Parallel -- the latter attracted much attention (including Oscar nominations for Best Picture and best original story) -- resulted in the creation of The Archers, an independent production company. Powell and Pressburger went on to jointly write, produce, and direct The Life and Death of Colonel Blimp, A Canterbury Tale, I Know Where I'm Going, and Stairway to Heaven during World War II. The idiosyncratic humor and point-of-view of these films alienated many British critics, but delighted audiences on both sides of the Atlantic. 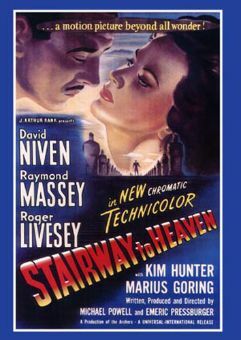 After the war, Powell and Pressburger made a series of movies that emblazoned their names around the world: Black Narcissus, a story of nuns who are nearly destroyed by their own passions while trying to found a convent in the Himalayas; The Red Shoes, a phenomenally successful film about the life and death of a ballet dancer, whose multi-year run in America and multimillion-dollar success made possible such pictures as An American in Paris and The Tales of Hoffmann, an opera/ballet amalgam of unprecedented stylistic flare and daring. The early '50s saw a decline in fortunes for the filmmakers, and their partnership dissolved in 1956. Powell continued to make movies of a fiercely personal nature until 1960, when the critical reaction to Peeping Tom -- about a man who mixes voyeurism, cinema, and murder, and is now considered a classic -- ended his career in England. He worked for American and European television during the 1960s and '70s, and was rediscovered in the late '70s with the help of Francis Ford Coppola and Martin Scorsese, who regarded Powell as one of the most important influences on their individual work. Museum retrospectives, restorations, and reopenings of his classic films followed, along with a multi-volume autobiography that he completed prior to his death in 1990. Made his directorial debut with the film Two Crowded Hours (1931). 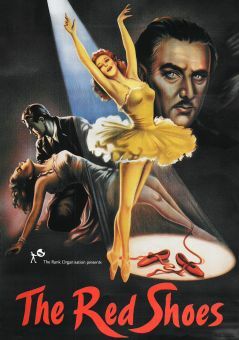 Has five movies on the BFI 100, showcasing the top British films of the 20th century: A Matter of Life and Death, The Life and Death of Colonel Blimp, The Red Shoes, Black Narcissus and the classic Peeping Tom, a controversial look at a maker of pornographic films. While he worked with Alfred Hitchcock, many of his most fruitful collaborations were with screenwriter Emeric Pressburger. Was a friend of Martin Scorsese, who introduced him to his wife, famed film editor Thelma Schoonmaker; Scorsese was heavily influenced by Powell's work. The Michael Powell Award for best new British film has been awarded since 1993 at the Edinburgh International Film Festival.